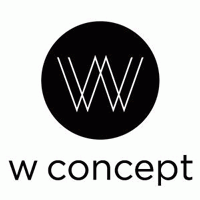 Find the best of W Concept promo codes, coupons, online deals and in store sales. W Concept offers 8 great coupons in Clothing & Apparel. Today's best coupon is (Save an additional 10% off Outerwear. ), get it Now. Save an additional 10% off Outerwear. The Power Pair Bags & Shoes- Up to 70% off + Extra 10% off. Save 5% off all sale items. Ultimate Spring, Ultimate Denim: Up To 80% + Extra 10% off Denim.